This very elegant and deceptively simple necklace was made by Jean Wilkinson. 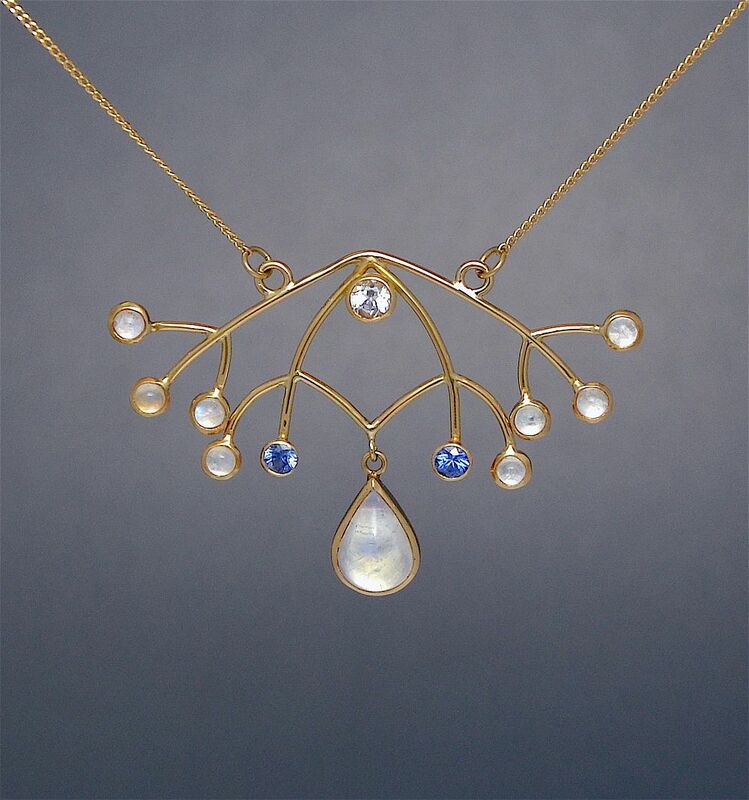 It consists of a series of 18ct yellow gold wires or "branches" that terminate in 10 rubover settings set with 8 round cabochon moonstones and 2 round faceted sapphires. In the centre of the top of the necklace is a round faceted white topaz in an 18ct yellow gold rubover setting and suspended from the bottom of the necklace in an 18ct yellow gold rubover setting is a pear shaped cabochon moonstone. The necklace is fixed to a fine 18ct yellow gold chain. Another necklace for any occasion.